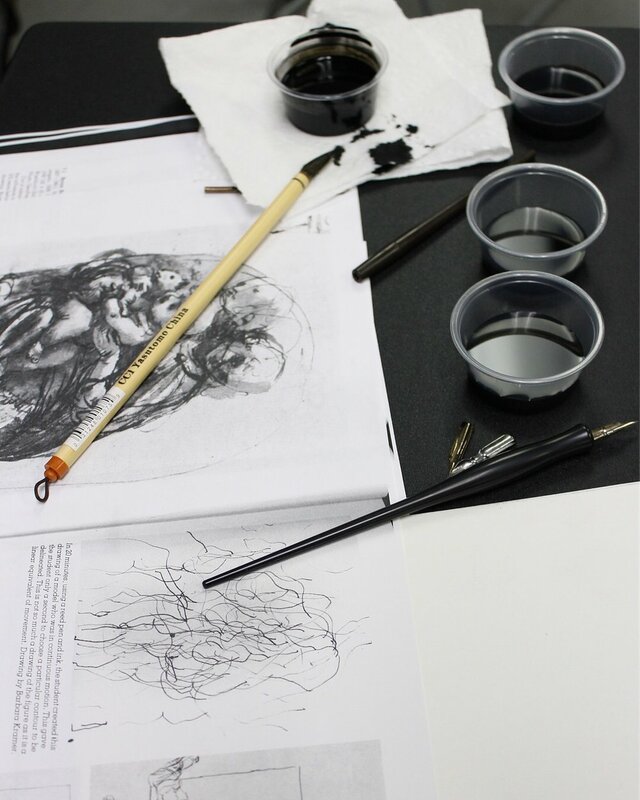 This class will dive into the essentials - and more - of drawing. Building on the techniques of sighting, gesture, and composition we'll incorporate elements of still life, nature, and the human figure. One session will meet off-site in Deering Oaks Park for some drawing en plein air, and another will include a live model at the studio. This is an intermediate level class and some previous drawing experience is helpful but is not required. Come with an open mind and a willingness to explore drawing techniques both traditional and out-of-the-box. Class sizes are small to allow for lots of personal instruction. A minimum of 5 students is needed to run this class. Please sign up in advance to save your spot and to help ensure that the class will run. (*Please save July 12th as a make-up date in case of a weather event that causes us to cancel a session). *Additional paper, ink, and other materials will be provided. **Students opting to borrow all supplies from the studio will be able to keep everything but the drawing board (select this option at checkout). Reesa Wood is a Portland artist, musician, and teacher. She received her MFA in Painting from the Rhode Island School of Design in 2014.